The idea of packing up and living in another part of the world is one that appeals to many. Whether it’s fuelled by a desire to escape the monotony of a nine-to-five job, the chance to experience different cultures or a mix of the two, change sometimes proves simply too difficult to resist. Nevertheless, taking a career break is a risky, and often costly, decision. Not only will it deprive individuals of their main source of income, there is also a perception – rightly or wrongly – that it could damage long-term career prospects, too. However, in today’s increasingly mobile world, focusing on the barriers to international travel seems futile. Instead, Karoli Hindriks, CEO of Estonian start-up Jobbatical, has come up with a unique solution: her company promises to find individuals the jobs they are passionate about in locations that inspire them. In doing so, Jobbatical enables people to experience a new culture while earning a living, and provides businesses with access to fresh talent. Although the global economy is on more solid ground than it has been for some time, there are still a number of challenges remaining. Unemployment figures may be falling – joblessness across the eurozone reached its lowest level for almost a decade in April – but businesses are still struggling to attract the right employees. Across a whole host of job sectors, serious talent shortages are becoming apparent. This issue is even more pressing in industries that require technical skills: currently, there is a lack of investment in the training programmes required to ensure jobs in IT, engineering and other hi-tech sectors have a steady supply of qualified applicants. Germany alone could be facing a shortfall of up to three million skilled workers by 2030. While it is true educational improvements will certainly help close the gap, this only provides a long-term solution to a problem many businesses need to address today. Boosting employee mobility, on the other hand, provides a more immediate fix, enabling industries based in one country to gain access to skilled workers that are underutilised in another. This is where Jobbatical comes in. Founded in 2014 in Tallinn, Estonia, Jobbatical helps businesses identify talented job candidates from around the world. The platform hosts job offers from across the employment spectrum, with a particular focus on tech, business and creative roles. Growing up far away from the major global employment centres of London and San Francisco, Hindriks appreciated there were many places – and many businesses – that could benefit from better access to international talent. To boost the attractiveness of businesses and locations that might not immediately spring to mind, Jobbatical provides a four-step solution. First, professional copywriters help to create an engaging job advertisement. Then, a 60-day hiring campaign is initiated, through which the vacancy is shared across social media channels and the most relevant Jobbatical users are invited to apply. The third stage grants businesses access to Jobbatical’s suite of application management tools, and the final phase concerns employee relocation. In an increasingly globalised economy, Hindriks noticed there were still many challenges preventing businesses from reaching the right job candidates. 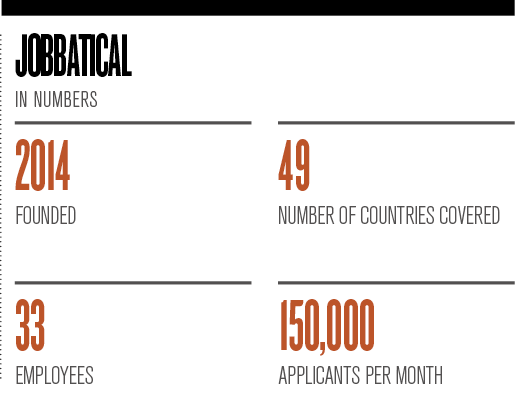 By making cross-border hiring a simpler process and granting firms access to a previously inaccessible talent pool, Jobbatical reduces inefficiencies in the labour market. Spending time in a different country is also great for long-term career prospects. For example, it could provide individuals with an opportunity to learn a new language in a way that is far more natural than simply studying from books and audio recordings. Studies have indicated learning a second language can even reduce bias in employees’ decision-making and provide a two percent boost to annual income. What’s more, travel puts people in contact with new sources of inspiration and exposes them to colleagues with different ideas. Whether a Jobbatical user chooses to remain abroad or return to their home country, this experience is sure to enrich their outlook in terms of both their professional and personal lives. Travelling can also be daunting, however, which is why Jobbatical offers a number of support services. The company already has immigration partners in 42 countries and is working hard to launch additional services to ensure the process of resettling abroad is as straightforward as possible. In order for the best-qualified candidates to be matched with the most relevant job roles – regardless of location – individuals need to be empowered to move across borders. Jobbatical achieves this by giving jobseekers the boost they need to overcome legal, cultural and bureaucratic hurdles. With many entrepreneurs, it can be difficult to pinpoint where their drive and inspiration stems from. But with Karoli Hindriks, her upbringing in Estonia is a good place to start. After all, it is, in her words, “a country that built itself up from nothing”. After the country regained independence from the Soviet Union in 1991, each adult citizen received 150 Estonian kroon (roughly equivalent to €10) with which to rebuild their lives. Starting from such a position, the Estonian people had little choice other than to embrace openness, collaboration and an entrepreneurial spirit. It’s an attitude that is easy to see within Hindriks herself. Aged just 16, Hindriks became Estonia’s youngest inventor to have a registered patent after transforming a school fashion project into a successful business. 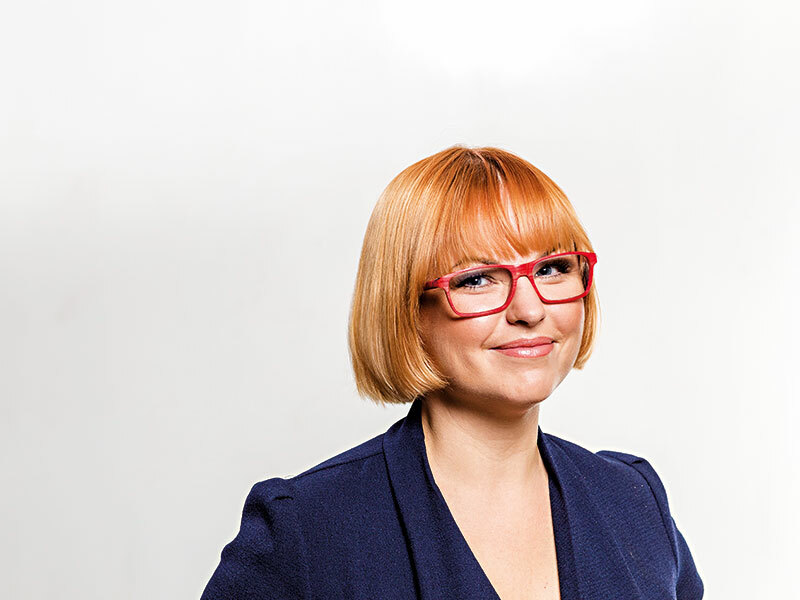 Then, after working in both marketing and PR for MTV Baltics, she was named CEO of MTV Estonia at the age of 23. Despite having little experience in the media business, Hindriks surrounded herself with a knowledgeable team and focused on learning as much as she could about her new industry. Hindriks’ embrace of new experiences continues to this day through Jobbatical and, once again, owes something to the country of her birth. Estonia is rapidly gaining a reputation as one of the most technologically advanced and business-friendly countries in the world. As the nation that provided the world with Skype, Estonia has long been proud of its culture of digital innovation, something that can be seen today through its adoption of cryptocurrencies and e-residencies. While some countries are putting up walls and focusing on ways to boost their deportation figures, Estonia is benefitting from one of the most flexible migration policies in the European Union. Jobbatical mirrors this approach by ensuring international borders don’t stop businesses or individuals from achieving their goals. 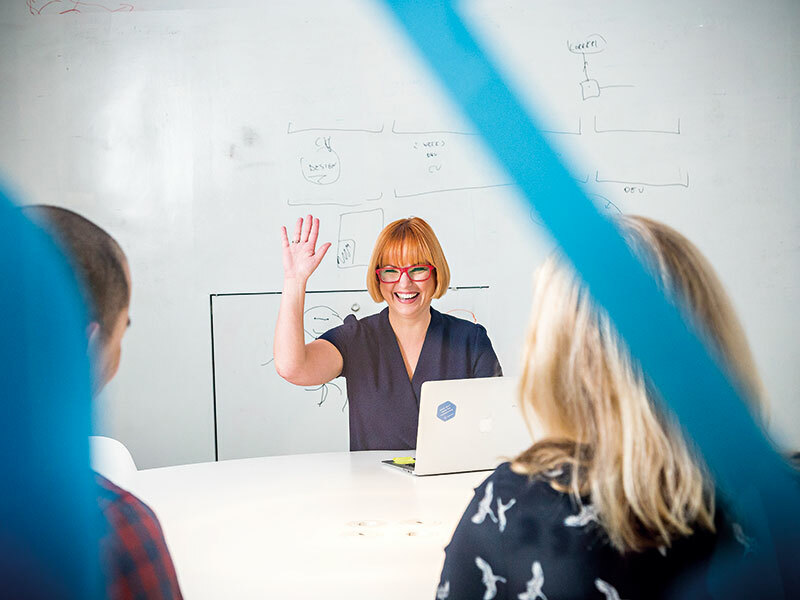 Despite Estonia’s enthusiasm for new ideas and, indeed, Hindriks’ previous successes, getting investors to support Jobbatical was not easy at first. In fact, finding backers in Hindriks’ home country proved such a struggle that the young entrepreneur began to doubt whether her idea would get off the ground. Despite the initial difficulties, those early investors were perhaps encouraged by the way Jobbatical reflected a changing labour market. The recent growth in digital services has meant businesses are no longer rooted within a particular area or market. Similarly, employees, with the help of social media and other online communication tools, are now free to work and live abroad without feeling quite so disconnected from home. In an increasingly global world, individuals appear more willing to work abroad than ever before. Millennials in particular are keen to explore international opportunities, with 40 percent of expats in this age group moving to pursue new challenges. As these trends develop, it is likely the demand for services like Jobbatical will only increase. If Hindriks gets her way, Jobbatical will soon become “the leader of cross-border hiring – an international careers one-stop shop”. Given her already-long list of achievements, few would bet against Hindriks realising her aim.